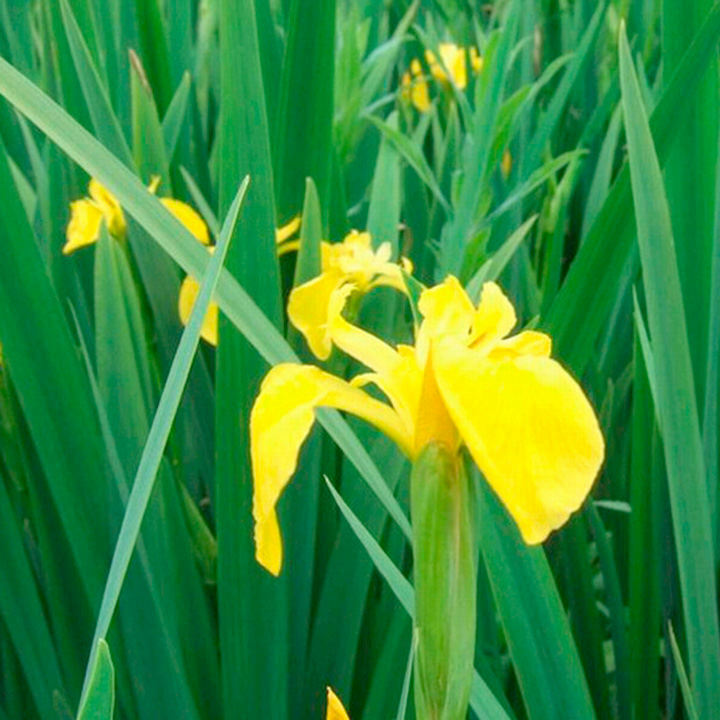 The only native aquatic iris, it can be vigorous in boggy soil. 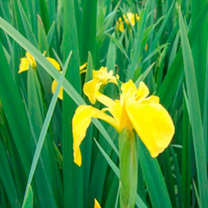 It is the original of the famous Royal French emblem, Fleur-de-lis.~Flowers June and July. Height 80-100cm. Fast growing. Depth 20cm. PLEASE NOTE: Harmful if eaten. Availalbe in two pack sizes: 1 x 1 Litre Potted Plant or Pack of 3 plants supplied in 9cm pots. Prefers full sun or partial shade. CARE - After foliage has died back in autumn cut back to just above the water surface. If trimming left until spring take care not to damage emerging shoots.